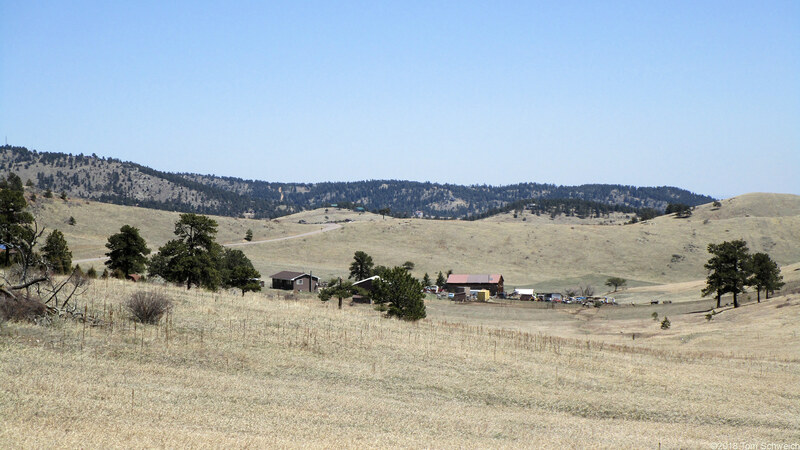 Photo: Ranch in upper Elk Creek drainage. Eastern Mojave Vegetation Ranch in upper Elk Creek drainage. Douglas Mountain Drive, Jefferson County, Colorado: at saddle. Other photos about Geography - Jefferson County, CO or Douglas Mountain area.